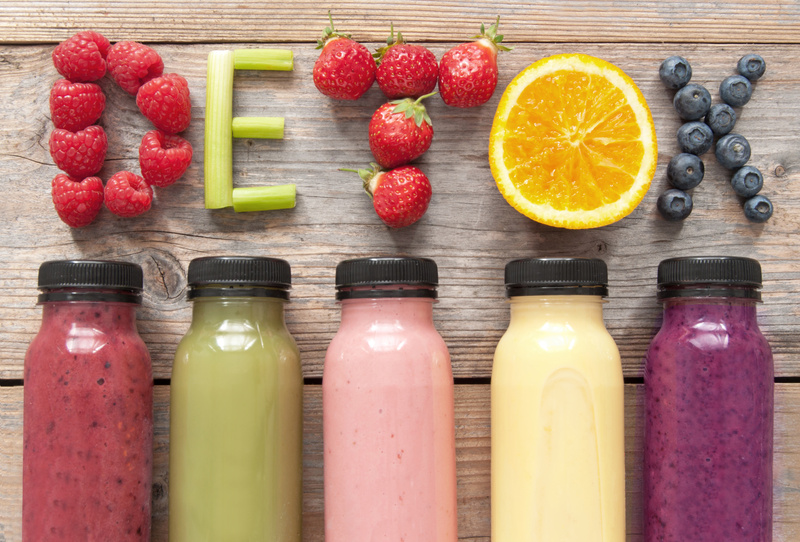 If you are interested in health and weight loss, you’ve probably heard all about the “magic” of a juice cleanse. While fruits and vegetables are awesome, taking them in exclusively in the form of a cleanse may not be the best way to go about it. You know that jittery feeling you get when you have too many sweets? That’s the same sensation you’ll feel when taking in huge quantities of fruit sugar. People assume that there are no side effects because fruit is healthy — but sugar is sugar. Some people report feeling seriously nauseous and out of sorts after getting so many grams of sugar per day. Simply put, you need the fiber and other nutrients that you get when you eat your fruit and vegetables. However, juicing this food gets rid of those ever important nutrients. So while you’re going on a juice cleanse to lose weight, you’re also losing nutrients that make you the best and most healthy version of yourself. Undergoing a juice cleanse causes your blood sugar levels to spike tremendously. This may be par for the course if you have no previous ailments, but someone living with diabetes might be putting themselves in danger. It’s dangerous to undergo these drastic changes in sugar level with diabetes, so always consult your doctor before starting a cleanse. Let’s face it — taking in only fruit and vegetable juice can be draining. You need a diverse array of nutrients, including proteins and carbohydrates, to feel like yourself. When you’re not getting these nutrients, you’ll likely drag through your day for some time until your body can adjust. Even with the adjustment, you’re not meant to take in this limit selection of food for a prolonged period of time. Many people who have allergies to certain fruits or vegetables find out when they undergo a juice cleanse. This shock to your system can create serious issues if your body is not prepared for it. Certain people have even broken out in hives after taking in this amount of fruits and vegetables during a cleanse. Yes, a juice cleanse can be a kick in the gut and bladder and create uncomfortable moments. Because your digestive system is taxed like never before, you’ll find yourself having to run to the bathroom a lot, which can be incredibly uncomfortable. After being used to the feeling of fullness after eating, it’s difficult to endure a juice cleanse. Your stomach will typically still feel empty, even if you’ve gotten your required calories for the day. This makes your meals less satisfying overall. Perhaps most importantly, you still might not lose the weight that you want on a juice cleanse. The added amount of sugar can easily turn into hard to lose fat. Your body might also hold onto fat longer if you’re reducing your caloric intake, which is double trouble when trying to shed the pounds. Leave your weight loss in the hands of professionals. We’d love to talk to you about gastric bypass surgery — one of the most proven methods of weight loss. If you’re ready to learn more, contact us for a consultation.